Vail has been at the forefront of modern day snow grooming right from the start. Even though forms of “grooming” snow have been practiced in Europe for hundreds of years – mainly by having horses haul heavy farming rollers – it wasn’t until the 1950’s, right here in Colorado, that snow grooming began as we know it today. 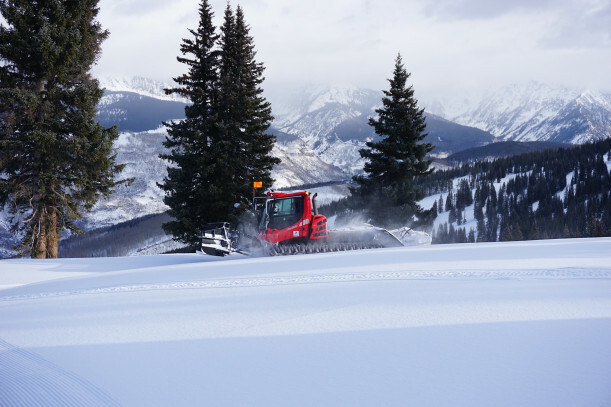 The difference between snow grooming as it has developed in Colorado and previous iterations is that in modern slope grooming snow is not only compacted, but ice is also crushed. Moguls, meanwhile, are shaved from the top of the run to leave a uniform, grooved soft packed surface, much like corduroy. Early grooming machines were large cumbersome diesel engines, hard to maneuver and limited to low angle slopes. 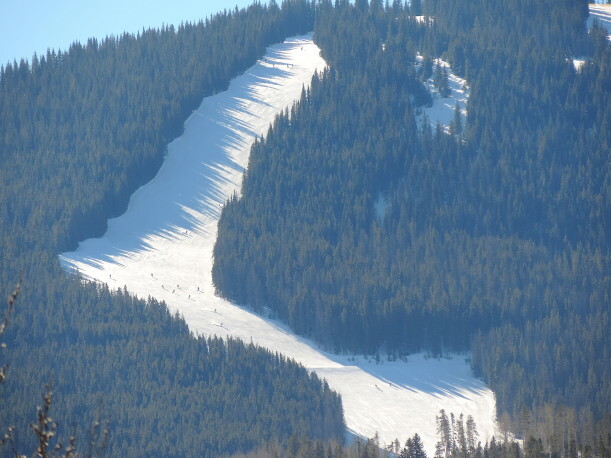 In Vail’s early days, steep runs were actually boot packed by an army of volunteers each winter, who would side step complete slopes, such as Look Ma, from top to bottom. And then there was spring, when slopes would melt during the day and freeze again at night, turning steep slopes into challenging surfaces that could only be used once they softened as temperatures rose during the day. To remedy this, technology to facilitate steep grooming was invented. Throughout the 60’s, Vail pioneered the use of bigger and stronger grooming machines that could go on the steeper slopes of Vail by using winches. Today this tradition continues in the modern fleet of snowcats that regularly groom vertigo-inducing slopes all over the mountain. Next time you pass the top of Gandy Dancer, look for the big pine trees in the entrance, you can see the marks from the winch placements that are used to lower a snowcat down one of Vail’s steepest runs. At night, Vail’s modern and efficient fleet of snowcats smooths fresh snow or reworks hardened surfaces into a soft velvety layer, so that no matter the conditions, the whole mountain can be safely skied or snowboarded from end to end. No matter what Mother Nature might dish out, be it a warm spring day, or a cold icy winter morning, guests can be assured that Vail Mountain will offer hundreds of acres of precisely groomed slopes to challenge skiers of all abilities.